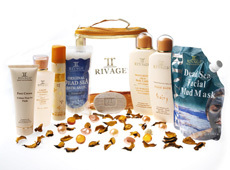 Rivage Dead Sea beauty line has a wide range of products deriving from the wealth of the dead sea including bath salts, mud masks, facial creams, mineral soaps and much more fascinating product. Since ancient times, its rich mud minerals, sea salts, and notorious bath of salted water have been celebrated for their remarkable effective results on skin. They help clarify, stimulate, nourish and moisturize your skin, resulting in a lasting fresher, healthier and more youthful appearance. Today, Rivage experts have harvested the wonders of the Dead Sea water, mud and minerals, to individually combine those beneficial Dead Sea elements with the freshest natural ingredients to provide you with a full range of cosmetics and beauty products day and night, for your skin, hear and body care, including bath salts, mud masks, beauty cosmetics, facial creams, mineral soaps and much more. What makes Dead Sea products so medically beneficial is the unique blend of sunlight, rich oxygen atmosphere and geological features unlike any other on earth. Since dead sea water contains the highest concentration of minerals using dead sea product is a lenient process that will gently peel away dead skin cells, bacteria, and even the oils you naturally produced can be eliminate, to reveal more youthful, healthier skin layer. Most chemical product's can damage healthy skin cells and aggravate existing blemishes. Because Dead Sea contains about 21 minerals including Magnesium, Chloride, Bromide, Sodium, Iodine, Potassium, Calcium, it will help in the regeneration of healthy new skin cells, and to provide effective relief for skin disorders such as psoriasis, eczema, acne and wrinkles, Improves blood circulation and natural skin generation. Facial mud mask is impeccable, effective and simple to prevent wrinkles, and revitalize damage skin. 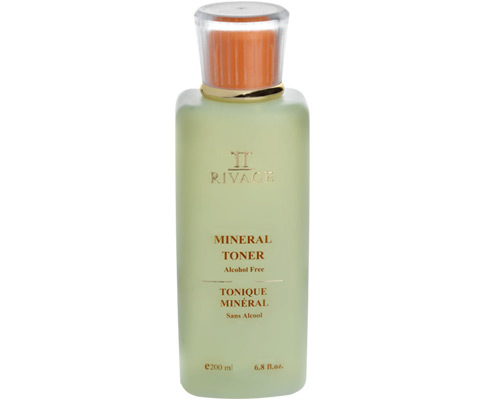 Mud minerals have the immediate effect of making your face feel vital, refreshed, and clean due to the mix of magnesium, bromide and other minerals. Fine mud grains eliminate the excess oils and dead skin cells, by cleaning out toxins that build up in pores and allow the skin to breathe properly. It also tightens the area's most likely to develop wrinkles such as around the eyes, forehead and the corners of the mouth. Using Dead Sea mud will have a vast improvement on your skins health. Dead Sea salt is very beneficial for Healthy skin, as well as physical and mental well being, insomnia. It has a big effect on your skin depending on the correct sodium and potassium or fluid balance in the body. This is regulated by the Adrenal gland, which in turn affects healthy function of the kidneys. The kidneys are responsible for controlling 28 chemicals in the body. An imbalance of these chemicals or electrolytes can result in certain skin conditions or other symptoms, and over an extended period of time result in various illnesses. Assisting to replace or remove electrolytes enables the body to maintain a good fluid balance thereby improving feelings of relaxation, health and well being which can improve circulation in and suppleness of the skin. Dead Sea Salt contains 10 times more minerals than ordinary sea salt, minerals which assist in cleansing, detoxifying and restoring a healthy status quo to the body, especially the skin and muscles. Dead Sea Salts is very dry and absorb the excess oils and toxins accumulated. It also works the same way to eliminate secretion of bile from the liver and for converting toxins into non-toxins. In Dead Sea salt has a lot of active minerals that works thru out the entire body such as: acids cysteine, methionine, haemoglobin; for your blood, collagen for muscles, keratin; for skin, insulin, heparin, biotin and co-enzyme for healthy hair, skin, nails, among many other biological structures. Sea salt is profitable for a adequate digestion and absorption of carbohydrates. It is also essential to enable cells to breathe. Chlorine balance alkaline and acid in the body, which plays an important role for cell reconstruction. Iodine helps the production of the hormone thyroxin, and is also essential cell metabolism. Potassium is primary to maintain the water balance which will activate the cell metabolism, assisting the cells to absorb nourishment and expel waste products. And it's going to prevent water retention. Potassium also plays a important role to regulate muscle contractions and maintain the nervous system.